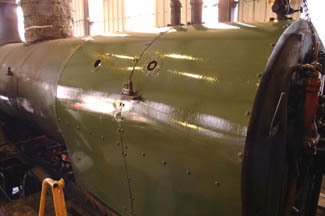 The boiler work is progressing well since the last news update with the new tubes and boiler cladding being fitted. 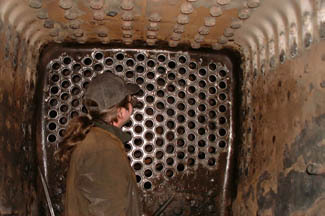 The fire box tube plate. 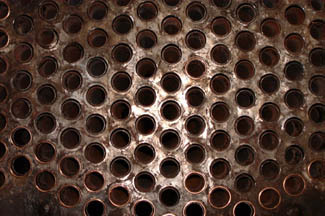 If you look closely at the tube ends you will see some copper rings inserted. 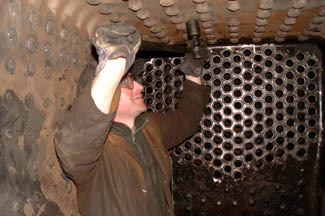 The tubes will be expanded onto these rings which will make a seal. Click the image for a close up view. Phil Naylor admires his handywork after expanding and beading the tube ends. 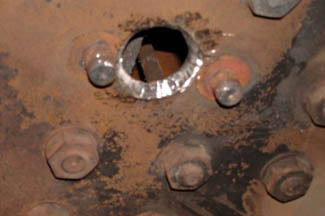 The firebox crown showing hole for fusible plug bush. Phil tapping the new bush after welding. 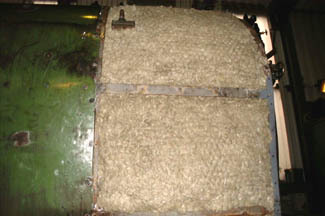 This is because when the bushes are made we screwcut the threads to ¾ of their depth to allow for welding distortion. The outer fire box lagging re fitted.